The Denver Art Museum is completely redesigning it's textile exhibition, and I have been invited to submit pieces for the permanent display! I have been working non-stop! This one is so fun! Toile embroidery. I found this excellent toile on Spoonflower. 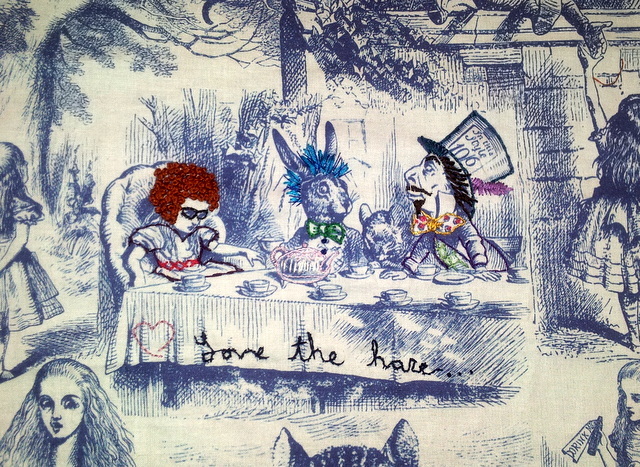 Alice has an afro! 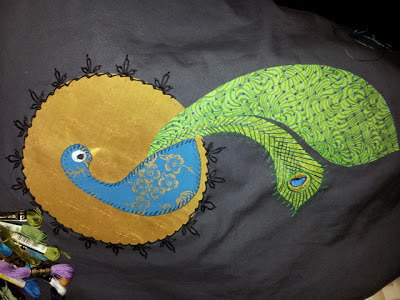 The first piece is applique and embroidery...still a long way to go!